To be considered for this scholarship you need to first hold a conditional offer of a place on a postgraduate taught degree programme at Plymouth University commencing in September 2013. If you have not yet applied to us you need to do this first – please complete an application form at official website and see information on how to apply. Application: Complete the application form that can be found by clicking on the link below and return this, along with all requested documents, to the email address specified. Please note you must have received a conditional offer of a place for a postgraduate taught programme commencing in September 2013. You must also be holding the equivalent of a UK University 1st class Bachelor degree in a relevant subject. See Terms and Conditions for details. Once all conditions of your offer have been met and the tuition fee deposit has been paid, we will then confirm the scholarship award and issue your unconditional offer letter or CAS. To apply for the Merit or VC’s Scholarships, please download the application form and instructions at official website. 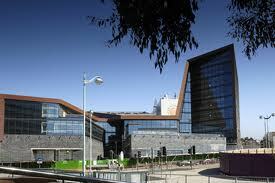 You hold a conditional or unconditional offer from the Plymouth University for September 2013 entry.